The countdown has started for the 18th Istanbul Jazz Festival, which will host more than 300 local and foreign artists at some 40 concerts from July 1 to 19. One of the biggest surprises of this year’s festival will be famous American folk singer Paul Simon, who takes the Istanbul stage for the first time July 19. Famous American folk musician Paul Simon and popular soul singer Joss Stone are set to make their Istanbul debuts as part of this year’s jazz festival, which will also host African diva Angelique Kidjo. The popular Tünel Feast, a “festival within the festival” offering a jazz marathon in the central Istanbul neighborhood of the same name July 2 also returns this year after getting off to a hot start in 2010. 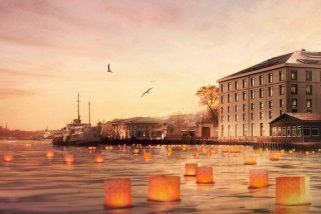 New this year is the night entitled “A Strange Place for Jazz,” a special concert to be held at the historical Golden Horn shipyard July 9 featuring three world-famous bands that are expanding the horizons of jazz music with their innovative and creative projects. The concert taking its name from an album, “Strange Place for Snow,” by e.s.t., the band of famous jazz musician Esbjörn Svensson, who died recently. Former e.s.t. bassist Dan Berglund’s new band, Tonbruket, will take the Tersane Stage for the event, as will İlhan Erşahin’s “Love Trio,” featuring guest artist Arto Tunçboyacıyan. Jazz stars Bill Evans and Randy Brecker’s famous fusion band Soulbop will also share the stage with Medeski Martin & Wood. Tickets for the 18th Istanbul Jazz Festival will be available starting May 7 through Biletix and at the Istanbul Foundation for Culture and Arts, or İKSV, building in Şişhane. Organized by İKSV, the festival is being sponsored for the 14th time by Garanti Bank. The festival program was released Tuesday night at a press conference at Salon İKSV. Following the opening speech of İKSV General Director Görgün Taner, Senior Vice President Elif Güvenen made a speech on behalf of Garanti Bank.